American suburbia represents the greatest misallocation of resources in the history of the world. It’s a daunting agenda, all right. And some of you are probably wondering how you are supposed to remain hopeful in the face of these enormous tasks. Here’s the plain truth, folks: Hope is not a consumer product. You have to generate your own hope. You do that by demonstrating to yourself that you are brave enough to face reality and competent enough to deal with the circumstances that it presents. How we will manage to uphold a decent society in the face of extraordinary change will depend on our creativity, our generosity, and our kindness, and I am confident that we can find these resources within our own hearts, and collectively in our communities. No, no, no . . . it’s really not that simple at all. I am an American who has recently moved to Vietnam and I’d like to offer you the view from my perspective. I live in a relatively up-scale corner of Da Nang, Vietnam, a city of one million people. Here’s what I see out my window: one trash can per city block for everyone’s refuse. (The trash is collected daily after the “recycling ladies” pick through it for resalable items.) Fresh vegetables delivered to the market by farmers on heavily loaded old motorbikes or via city bus. A fisherman’s wife delivering the catch of the day in a Styrofoam box lashed to the back of a bicycle. Kids bicycling and walking to the local school. Adults travelling, two to a motorbike, to and from work and market. Hand-washed clothing hanging to dry on the balconies. Folks dining at open-air soup stalls with the proprietor hand-washing the bowls between customers. Buildings designed to maximize the cooling effects of shading and breezes. Delivery drivers pedaling their three-wheeled cyclos loaded with locally manufactured furniture. The population is not the issue. It’s that consumer-culture, petroleum-fueled American Dream that’s the issue. 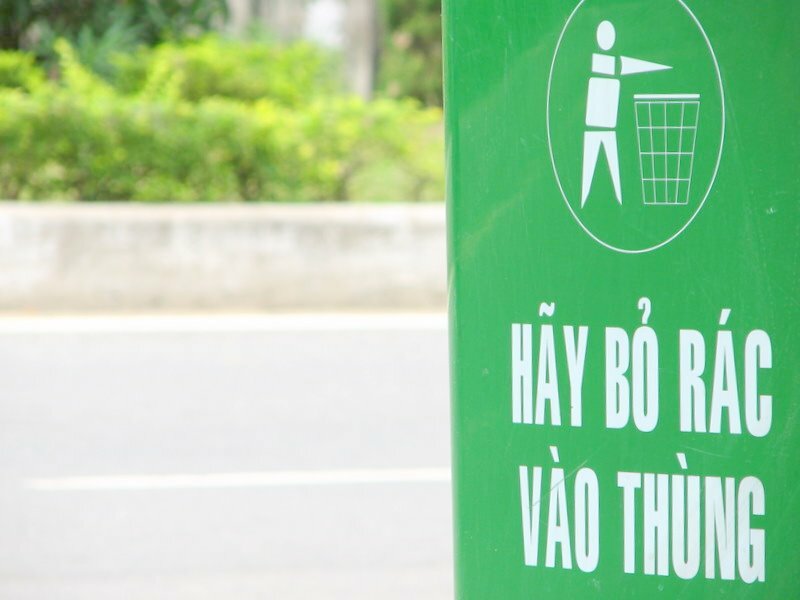 Waste and increased consumption of resources are becoming evident here in Vietnam--but only in direct proportion to the degree to which the population becomes more affluent and more enamored with American-style consumerism.